Exploring Tamriel in The Elder Scrolls Online with friends is getting a lot easier this fall, when One Tamriel introduces level-scaling to the entire game world. The developers of the free-to-play Elder Scrolls MMO have been talking about rolling out level-scaling to the world since late last year. At tonight’s Bethesda E3 2016 event, game director Matt Firor made it official. Once One Tamriel rolls out, players will be able to travel the entire world without restriction (once they make it out of the tutorial). Player level will scale to the area they are in, much like it currently does in DLC areas. For those of you who’ve only played the single-player Elder Scrolls games, where you can wander wherever you want and explore to your heart’s content, this move basically makes the online game more like that. Neat! 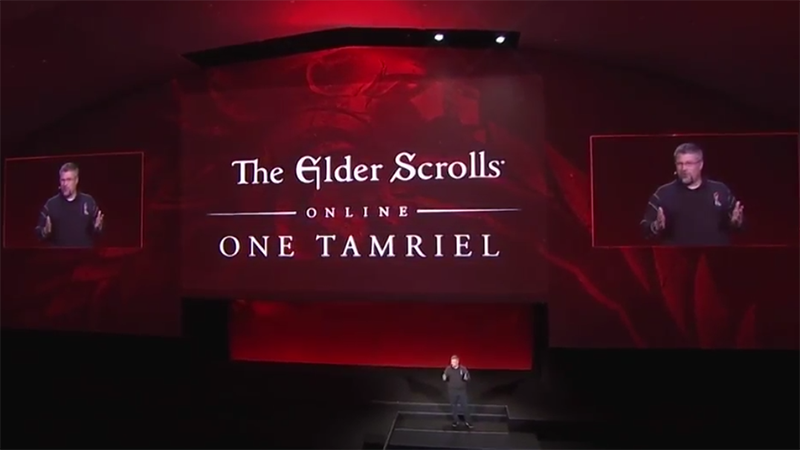 Read more about how One Tamriel will change The Elder Scrolls Online at the game’s official website.